Classical Cepheids are young stars that are some four to 20 times as massive as the sun and up to 100,000 times as bright. Such high stellar masses imply that they live fast and die young, burning through their nuclear fuel very quickly, sometimes in only a few million years. They show day- to month-long pulsations, which are observed as changes in their brightness. Combined with a Cepheid's observed brightness, its pulsation period can be used to obtain a highly reliable distance. 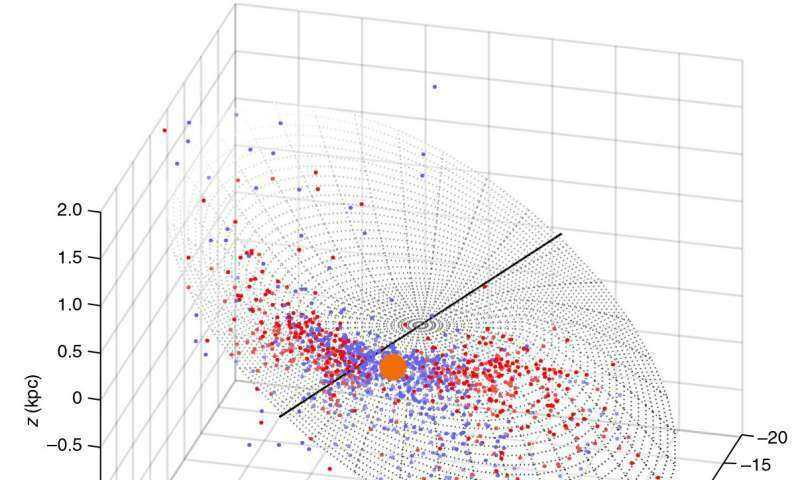 "Somewhat to our surprise, we found that in 3-D, our collection of 1339 Cepheid stars and the Milky Way's gas disk follow each other closely. This offers new insights into the formation of our home galaxy," says Prof. Richard de Grijs from Macquarie University in Sydney, Australia, and senior co-author of the paper. "Perhaps more importantly, in the Milky Way's outer regions, we found that the S-like stellar disk is warped in a progressively twisted spiral pattern." One hopes this doesn't turn out to be a systematic error. That would be embarrassing. Dark matter is an excuse for not understanding what's really going on. Dark matter doesn't exist just as the "ether" didn't really exist for older explanations of mis-understood phenomenon in the past. Time to come up with real explanations, not hokey crap. Does the Andromeda galaxy have these curves? i agree with your assessment tall. But i would add, that there was no single collision with neighboring galaxies & large clusters of stars & gas. Rather, that over billions of years, there have been a multitude of such collisions & near misses. When there were black holes involved? Eventually they would combine. But to repeat, spread over billions of years. I've seen complaints that Sag A being temporarily quiescent somehow proves it cannot exist as a massive collective of singularities. Now, as too sorting out the wreckage & try to guess where all the debris came from? I believe there have been efforts made for those stars & clouds which have traceable courses? For instance, if I remember correctly. There is some tentative evidence for the tracing the Solar System to a specific wavefront from a supernova event approx 5 billion years ago. With attempts to identify our Sun's siblings? Remember the hexagon at Saturn's south pole (or was it Neptune?)? You get the same phenomenon when you turn on a blender with not too much liquid at the bottom. You also get undulations in a blender, waves that travel around the perimeter. Here you have the source of rotational energy concentrated in the center, like a blender. There are no blender walls, but you do have the pull of gravity getting weaker as you move outward. Looks like frame-dragging to me. Precession at the center of the cloud has delayed and chaotic effects on the perimters, so you get standing waves. "The Milky Way is warped"
So is everyone and every thing. Just a little less than perfect, with a slight twist. Some things are twisted this way and some are twisted that. It's just the nature of this universe we live in. Oh, and, BTW, there's only one. Why would ANYone not expect this galaxy feature to be the case...? That is quite a warp, nearly 20 degrees says the abstract. To me this looks like it could be the after effects of a previous collision, causing the disk to wobble. There have been observations of a much smaller wobble (confused by the old Cepheid reference system looking straight) that could have been caused by dwarf galaxy collisions, But nothing on this scale since the early MW merger build up, the galaxy is uncommonly calm. But the abstract of the paper suggest a straight forward explanation from earlier warp observations - 50 % of spirals are warped - Brigg's rules for galactic warps [ http://adsabs.har...52...15B , https://www.iiap....ep07.pdf ]. "Almost all galaxies in the our Local group e.g. Milky Way, M31, M33 …… are Warped!" The surviving hypotheses seems to be the mass of the inner disk (prominently DM), see refs and the paper abstract.. So of course the trolling on accepted cosmology happens (spare me!). But the proposal that DM has to be "recalculated" anymore than the standard matter reveals that they do not understand what they are trolling. Both kinds of matter follow the gravity potentials and so the DM gas equidensities are as warped as the disk. And in fact the gravity potentials will be dominated by DM, so it is potentially a confirmation of DM and a strong suggestion that "nobody puts DM in the corner" [cue soft rock music]. Seems loosely analagous to a simplification of an Alcubierre Warp field. Dark matter is an excuse for not understanding what's really going on. .
Why should we believe YOU don't know what's really going on? What is YOUR alternative theory for explaining for all the data, including all the observed gravitational effects, dark matter theory explains? And why should we believe YOUR theory over those of the qualified scientists that have studied and researched this for many YEARS? I am not saying dark matter exists. I am saying unless you can give good answers to all 3 of my above questions then anyone can validly dismiss all your assertions. You cannot validly just arrogantly verbally refute everything the experts say and dismiss them as stupid without backing that up by a pretty powerful argument and/or evidence else it is you who is being stupid. "Why should we believe YOU don't know what's really going on?" "Why should we believe YOU DO know what's really going on?" LMAO...Humy decides who is a "qualified" scientist and, as per the usual mainstream supporter handbook section on how to respond to skepticism demands an "alternate theory". Funny how all of the "qualified" scientists are more confused about reality than Kelldude....like all of the "qualified" barbers confused about how shampoo works. "You cannot validly just arrogantly verbally refute everything the experts say and dismiss them as stupid without backing that up by a pretty powerful argument "
Math can prove anything....just can't make it real. Do you know why that is a mantra of the EU idiots? Because they have the combined IQ of a lamppost, and cannot do maths. They have a chip on their collective shoulder about it. None of them being actual scientists in the relevant areas. And they have zero scientific hypotheses. They are an irrelevant waste of space. I'm not sure I see why this is regarded as a surprise. The galaxy is hurtling through space rather than rolling along a fricative surface. 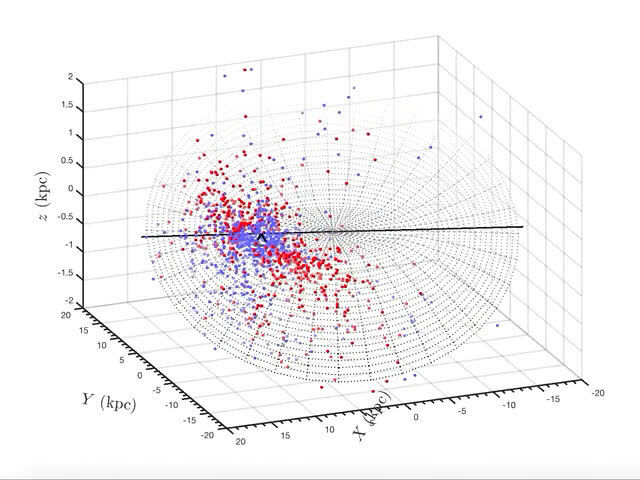 Wouldn't it be expected for the galaxy to rotate around more than one axis? And, wouldn't the amount of curvature observed along that second axis tell us how fast the galaxy rotates around one axis relative to the other? Why would the galaxy only have angular momentum along one axis and not along any others when it is free to move in mostly empty homogenous space? It's funny, having Jones (and wills, and a couple others) on ignore is like sitting in a nice restaurant eating French onion soup while a crackhead outside tries to yell through the sound proof glass about how he's figured it all out....Seeing he posted directly under me is like hearing a faint thud....not being able to downvote is so worth it. More idiotic posts from the loon that believes Earth used to orbit Saturn! Lol. I think we all know that theredpillock is a thick headed, uneducated dolt. However, if anyone wants to confirm this belief, then please do so by posting the acronym of; thick headed, uneducated dolt. I seem to remember that there is currently a small galaxy being absorbed by the Milkyway. Would be interesting to see it's location on the star plot. Dear God man....nobody can find a single DM particle so that you idiots can finally say "here, we have it, we studied it, this is what it does and this is what it is." Straw man; How does my previous assertion imply a DM particle has been found? You cannot argue against my assertion so you desperately try and make it out to be an assertion that I did NOT make, and one you CAN argue against. STOP PUTTING WORDS IN MY MOUTH! It is highly dishonest and you should be ashamed of yourself. My previous assertions stands as sound. "Straw man; How does my previous assertion imply a DM particle has been found?" It doesn't in any way, I flat out stated nobody can find it and you do not seem to understand what a "strawman" is either (LMAO even though you linked it's definition)...it isn't a "strawman" to say you have nothing ...when you have nothing. You claimed "we" (people who do not believe DM exists) need a "powerful backing argument" to "refute what the experts say" in this case the existence of DM. Since it has never been found, that is all one needs to say to "refute" it's existence...it's the most powerful argument in the form of a single statement. Ironically, you were actually the one who attempted to set up the strawman when you claimed I had said anything about DM being found other than the fact that it hasn't. You goofs think you understand physics and you don't even process English correctly...LMAO. Lol. He just agreed that he is a thick headed, uneducated dolt! Since it has never been found, that is all one needs to say to "refute" it's existence...it's the most powerful argument in the form of a single statement. Nope, you need an alternative that explains the observations. You don't have one. Fail. You claimed "we" (people who do not believe DM exists) need a "powerful backing argument" to "refute what the experts say" in this case the existence of DM. The experts that have the opinion that it exists (not all do) have a much more qualified opinion than your ignorant non-expert opinion that it doesn't. So why should we take your ignorant non-expert word over it over the experts? That is an extremely poor 'argument' if it IS an 'argument'! Certainly NOT a "powerful argument"! There is evidence, short of proof, for dark matter matter. There may or may not exist dark matter but the fact remains that, for now, the experts are right for treating dark matter theory as credible. As long as dark matter theory is credible, it must also be credible that one day we will detect a particle of it. So saying one hasn't been found yet is an extremely poor 'argument' indead. You present no real argument. I am NOT saying dark matter (DM) exists. I am saying that, for now (and this might change in the future), according to the relevant experts, DM theory is credible, and, until if or when that changes with new evidence and/or a better alternative theory, DM theory is credible and perfectly scientific. I have NO personal opinion on whether DM exists, or even merely whether it probably exists. That is because I am not an expert in the relevant subjects. Sadly, some delusional people here clearly think they know better than the experts on it. Better and much more intelligent to humbly admit ignorance and have no opinion on something than to arrogantly base one's opinion on something on ignorance. No opinion due to insufficient data is a perfectly valid position and often the only right one. And, if you are truly wise, you would always recognize that many other people know things you don't. -this is true for everyone. deer THUD, it does not matter when or even if a DM particle is discovered, confirmed, verified. You live in a fairyland of imaginary godlings. you will always deny reality. @humy, I am done my soup and the crackhead at the window of the restaurant looks like it has a friend (thud, thud) so I will be brief. I respect the honesty of your clarification so I will address it this way: "Relevant experts" is a term used by people unable to formulate their own opinion because as you said above (you) they are not "experts". This equates to not having the knowledge base, research experience, or physical understanding to debate what the "relevant experts" say. So "if you are truly wise, you would always recognize that many other people know things you don't. -this is true for everyone"...including the "experts". Currently, any person considered an "expert" in theoretical astrophysics learned throughout their entire academic tenure that gravity dominates all motion and this motion is described through GR and SR equations. This "assumption" and effects attributed under it led to claims unobservable/unresolvable in reality. DM, BH's, DE. ^^^^Word salad. No science. As usual. Queue those intelligent enough to look at other options besides gravity. Specifically NOT the EU (because, as with the assumption about gravity, starting from a flawed premise leads to outlandish results) but people whom the EU covet for their scientific contributions. Those people worked and "thought" in the applicable mediums and applied physics that can be verified to the observations. Now we are in the 21st century and can observe everything better than we ever could, and sorry to say, but gravity is less of a factor in everything we see than we originally assumed it. Those in the fields of applied sciences working with plasma, magnetic fields and photons and have experimented with field morphologies while observing how they affect plasma understand more about space than any tenured professor with a degree in theoretical astrophysics who assumes gravity is still the most powerful force in the cosmos...I "hang out" with these guys...so should "the experts". Those people worked and "thought" in the applicable mediums and applied physics that can be verified to the observations. Now we are in the 21st century and can observe everything better than we ever could, and sorry to say, but gravity is less of a factor in everything we see than we originally assumed it. And have been shown to be wrong. By the "work" of the lag effect of the gravitational field explains why the Milky Way galaxy has a curved shape (it has the shape of a "Chair"). See Volodymyr Bezverkhniy's answer on Quora: How is the picture of our Milky Way galaxy taken from the outside if we are inside the galaxy? ( https://qr.ae/TUrZat ). Do you even answer the question in that very long text? "if you are truly wise, you would always recognize that many other people know things you don't. -this is true for everyone"...including the "experts". Correct. That is what I said. So what? Are you an 'expert' in DM? What are YOUR credentials? -at least I DO have some qualifications in basic physics from university although, like you, I am still not an expert in DM theory. The experts in DM theory know MANY things about it you and I do not. You are correct, it didn't happen. Like many loonies here, he either lies or, just perhaps, he is so way out of it that he actually believes all that complete crap! Difficult to guess which. Notice how Thug, err, I mean Thud, doesn't provide any good science web-links to back up his assertions. In conclusion, we can say that, by the "work" of the lag effect of the gravitational field we can explains why the Milky Way galaxy has a curved shape (it has the shape of a "Chair"). sorry to say, but gravity is less of a factor in everything we see than we originally assumed. I'm calling you on this one. Gravity has attributes and properties still beyond our acumen. Except that.... their work and discoveries are done WITHIN Earths gravitational field. You cannot turn Gravity on or off. You cannot see Gravity, should I then consider it to be the divine? These conditions are not true of any other Force. I agree, it is srill unresolved if Gravity rxisted before the Big Bang. Everything else iccurred during or afterwards. 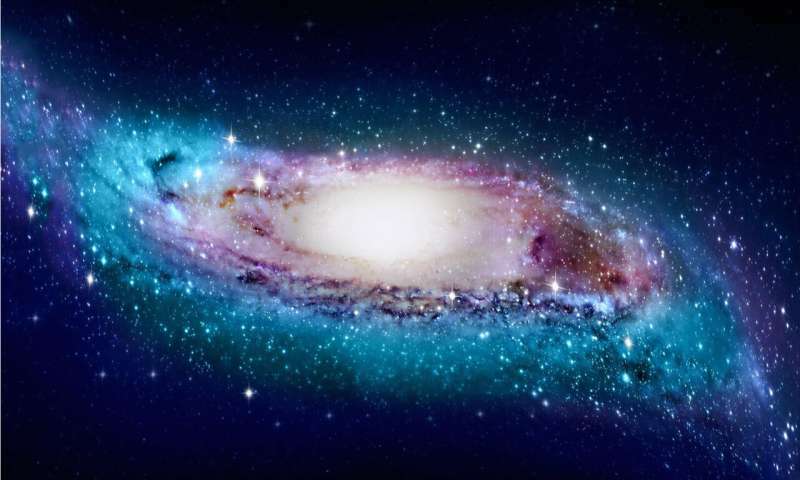 See Volodymyr Bezverkhniy's answer on Quora: How is the picture of our Milky Way galaxy taken from the outside if we are inside the galaxy? ( [url]https://qr.ae/TUrZat[/url] ). No, it is used by people that only formulate their own opinions about things they know about and, for those things they don't, they take note of what the experts say. because as you said above (you) they are not "experts". This equates to not having the knowledge base, research experience, or physical understanding to debate what the "relevant experts" say. No, I (and we rational people) understand what they say just fine, which is why we listen to them and not you. ... knows MANY things you and I don't. This is why I listen to them and not you.